“Risks associated with the housing market appear to be receding. House price growth has moderated, following several years of elevated growth, and risks are circumscribed by ongoing supply constraints, increases in public sector wages, and, from a more structural perspective, Malaysia’s relatively young labor force and urbanizing population. The risk of a sharp decline in house prices should nevertheless be carefully monitored. 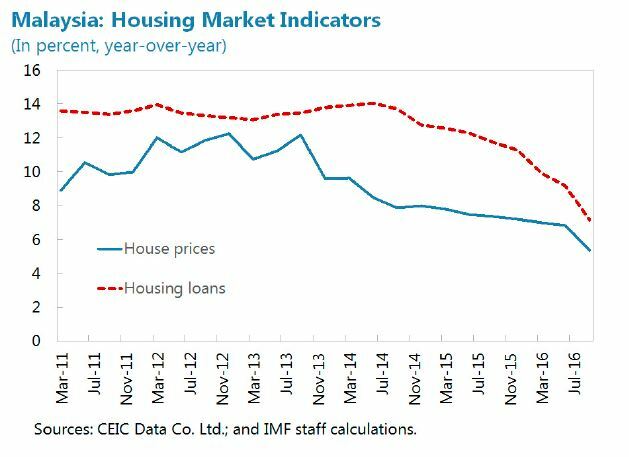 If rapid house price growth resumes, LTV caps on second and first mortgages could be considered”, says IMF’s latest report on Malaysia.